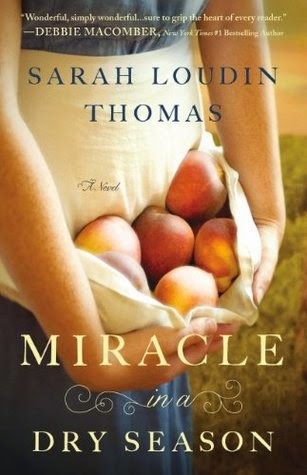 What a beautifully written debut novel by Sarah Loudin Thomas. The book is set in 1954, my favorite era in time. So that instantly caught my attention. The story is about Perla Long & her desire to sort of blend into life in the sleepy town of Wise, West Virginia, along with her daughter, Sadie. But a drought comes to the town & everyone is in need of a miracle, Perla's gift brings her front & center where she receives both gratitude & condemnation. Something I am not normally fond of is a book from a male perspective, but this one was done in a way that it doesn't bother me. And that male is Casewell Phillips, a bachelor that always that he was remain one. That is until Perla comes to town. This is a rich story, full of details, which makes you fall in love with each character & makes you wonder about them long after you have read the last page.